Three parcels, 2 homes on 10.97 acres with jaw dropping views! Parcel 1: main residence, 2,724 sq ft (3 bed/2 ba), 2 car garage with work shop (makes perfect granny flat). This parcel includes pool, spa & sport court. Parcel 2: Mfd. home, 1,200 sq ft (3 bed/2 ba) with 2 car garage & concrete RV space. Parcel 3: buildable lot with perc test completed & graded drive. This compound is private, serene & gorgeous! In the main residence the rustic tile floors & rich wood beamed ceilings frame the stone fireplacThree parcels, 2 homes on 10.97 acres with jaw dropping views! Parcel 1: main residence, 2,724 sq ft (3 bed/2 ba), 2 car garage with work shop (makes perfect granny flat). This parcel includes pool, spa & sport court. Parcel 2: Mfd. home, 1,200 sq ft (3 bed/2 ba) with 2 car garage & concrete RV space. Parcel 3: buildable lot with perc test completed & graded drive. This compound is private, serene & gorgeous! In the main residence the rustic tile floors & rich wood beamed ceilings frame the stone fireplace. The lower suite is currently used as an office with wet bar, bookcases & wood stove. The upper master has an over sized closet that could become a nursery (thereâ€™s room to add another closet in the master suite). The luxurious baths were designed by a lapidary & the laundry doubles as a craft room. Use the second residence as an income property or extend your compound. This mfd. home has 3 beds/ 2 baths plus an unpermitted sun room & a 2 car garage. For the buildable lot you will capitalize on the incredible views to add your 3rd residence or sell this parcel separately. 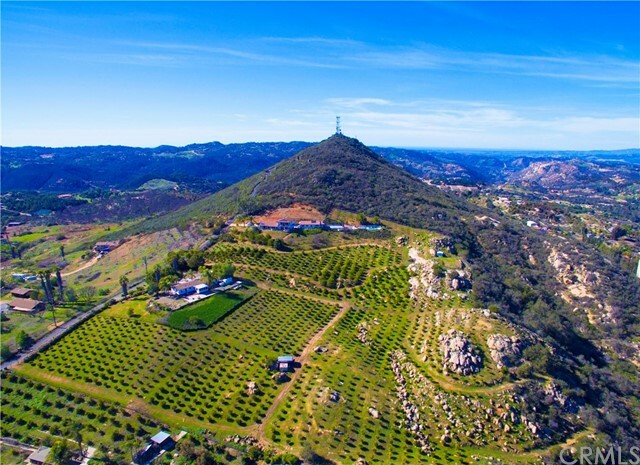 On the entire 10.97 acres there are 1,500 organic Shasta Gold Mandarin trees for wonderful income potential. This hybrid fruit, developed by UC Riverside, for a sweet easy-to-peel treat. The family fruit grove has 24 varieties of fruits & nuts & large garden space to create your own â€œfarm to tableâ€ experience. This heavenly experience is waiting for you to call it your own. Donâ€™t you deserve this bliss?